FORMUFIT 1 in. 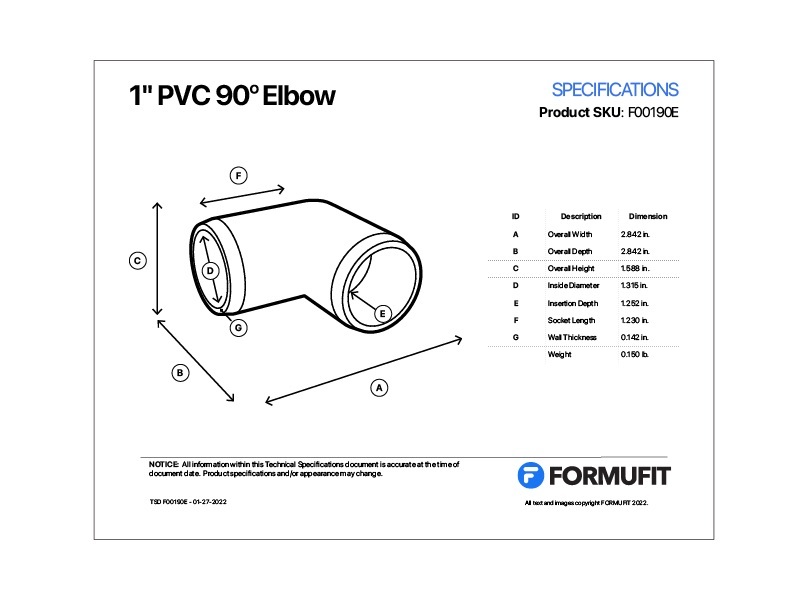 90-Degree PVC Elbows connect two segments of 1 in. Size PVC pipe at two points to create a 90-degree angle. 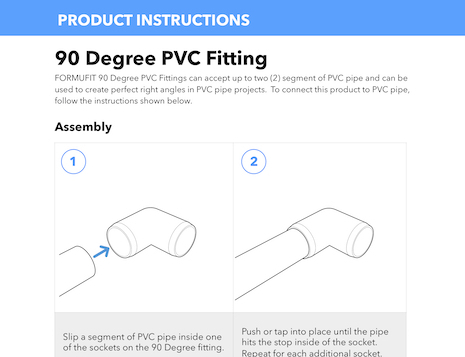 Create perfect right angles in PVC pipe projects. Create corner frames and bends in projects. 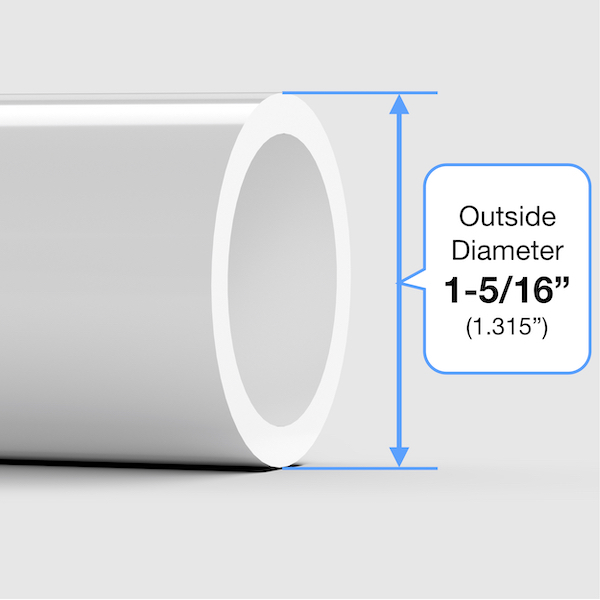 Fits externally over 1" Size PVC pipe, which has an outside diameter of 1-5/16" (1.315").